CALGARY — There will be a review of animal safety following the death of a fourth horse during the chuckwagon racing event at this year’s Calgary Stampede. The 16-year-old horse, named Ezzy, had to be euthanized after it tore a ligament in a front leg during the first heat of Sunday night’s competition to cap the annual Rangeland Derby. 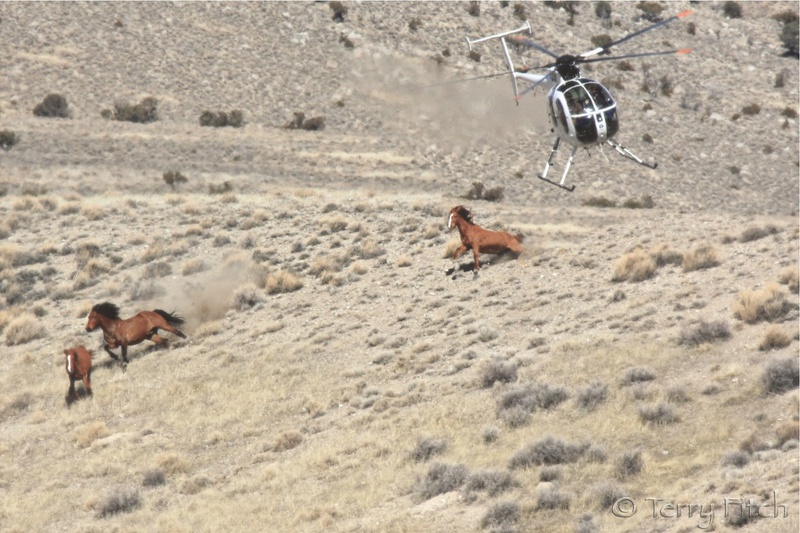 The animal was an outrider horse that did not make contact with any other horses or wagons. Veterinarians at the scene could not repair the injury, which they say is common in racing and other types of horses. Another outrider horse had to be euthanized on Saturday after it suffered a similar type of injury. 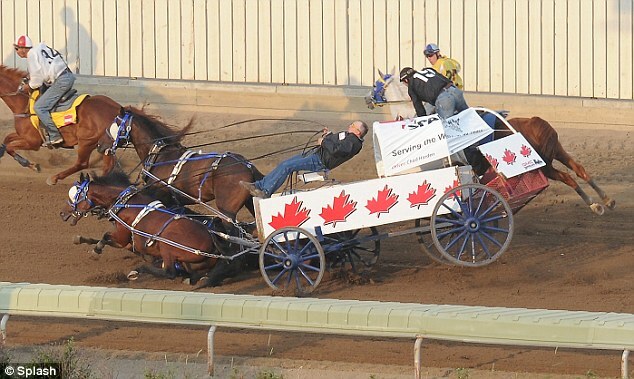 Two others that were harnessed to chuckwagons were put down after track-related accidents earlier in the week. Dave Galloway, who owned Ezzy, said everyone on his team loved the horse. Kurt Kadatz, communications director for the Stampede, said the organization has made advances in animal fitness and welfare, but it’s not proud of its safety record this year. 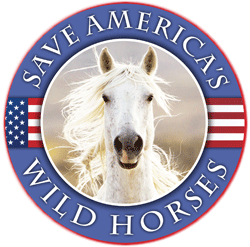 Kadatz said he believed one horse died in 2013 and one last year. Animal rights groups have been scrutinizing the Stampede’s safety measures, saying they are not enough to prevent animal deaths. Can there be a safe way to have a stampede? I think they need a new form of entertainment, Death is not a form of entertainment. I totally agree, with so many accidents it is obvious that what they are doing is dangerous and they need to stop. Clearly Greg Evans viewed poor Ezzy as a thing, referring to him as “it” three times in ONE SENTENCE! The idea that animals have no more life in them than a cardboard box is what enables cruelty. We have gained knowledge regarding an animal’s ability to feel pain and experience emotions yet stupid, life threatening reinactments continue. Laws must be changed to reflect the sentient status of non-human beings in order for those who, beyond all reason, insist that animals are somehow inferior things to be mistreated and not worthy of compassion. My own much-loved, very sentient and very fit horse suffered this exact injury while cruising around his pasture so it’s wrong to draw black and white conclusions about concern for life and injury rates, but I do agree it rankles (always) to hear the media refer to any horse as “it.” This is standard media editing which surely didn’t come from Ezzy’s owners. Condentations-my phone thinks it is smarter than me. It is time to put an end to this senseless slaughter of animals. The article is quoted as, “so there is no indication this was going to happen”. I disagree with this statement completely. Actually it is amazing when this kind of tragedy does NOT happen. The statement should have read, “With this kind of so-called animal abuse type of entertainment, there is EVERY indication this was going to happen as it has happened in in the past and it will continue to happen in the future”. The fact that it happens every year isn’t enough indication? We sure can rationalize. If not every year, enough to know that it could happen. It was the Vet that made that statement. Huh? I totally agree with your statement, GG. These type of events are going to die a natural death as the public no longer finds them “entertaining”. I agree. It’s just excruciating waiting for these horrible throwback activities to die out. How many full TB’s were pulling chuckwagons in the “old days” errrr none. Hate this event. No, I think we skuld have more of these great events! People have done then safely in the past, for years, sure, a few deaths here and there, but we love our animals, so that makes it alright. This is what we do and love, so that also makes it alright. And then of course, media just likes to blow everything out of proportion. This is a true Tradition, and that, in it self, makes it alright to carry on. Now let’s go look at some Endurance racing. Perhaps a young horse will get raced until is front legs pop!! Hey, they’ve upped the coverage there now, FEI has decided no horse should wait for more than 20 minutes for euthanasia. Isn’t that great!? Horses have no choice. They must do what is asked of them. It is a serious responsibility to not put them into bad situations. We owe that to them. It’s important to try to understand the Horse’s point of view. Events that are exciting to Humans are often stressful and painful to Horses.